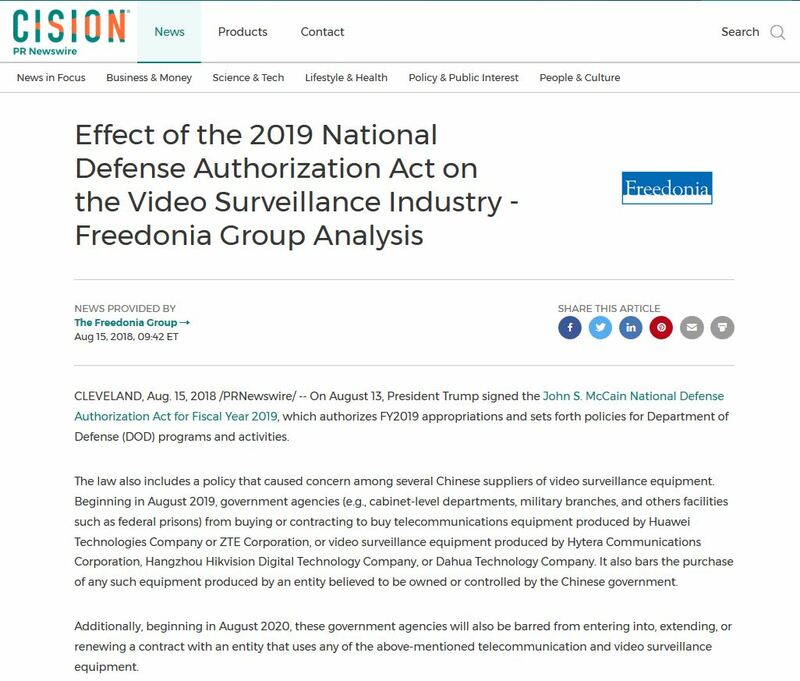 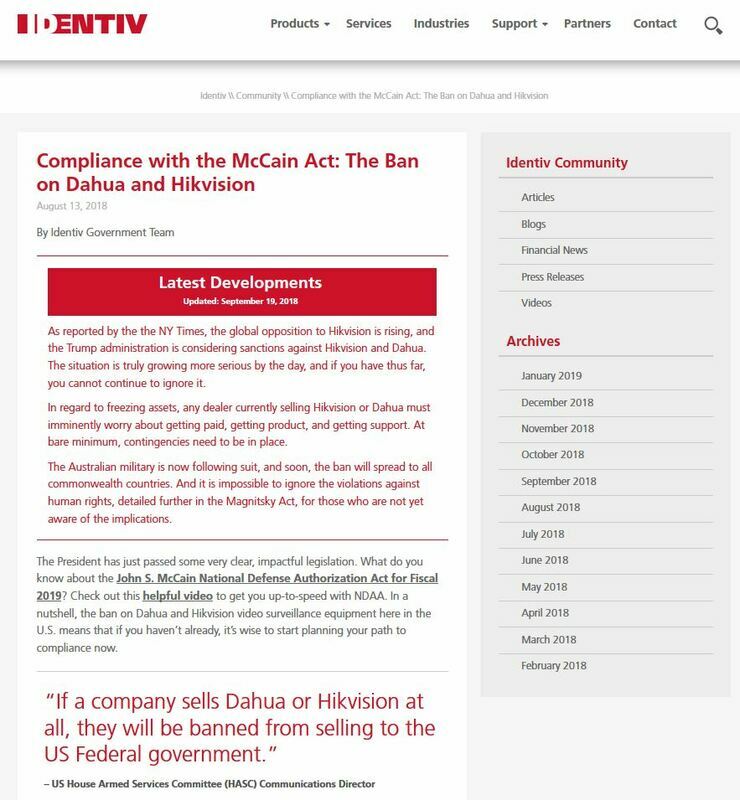 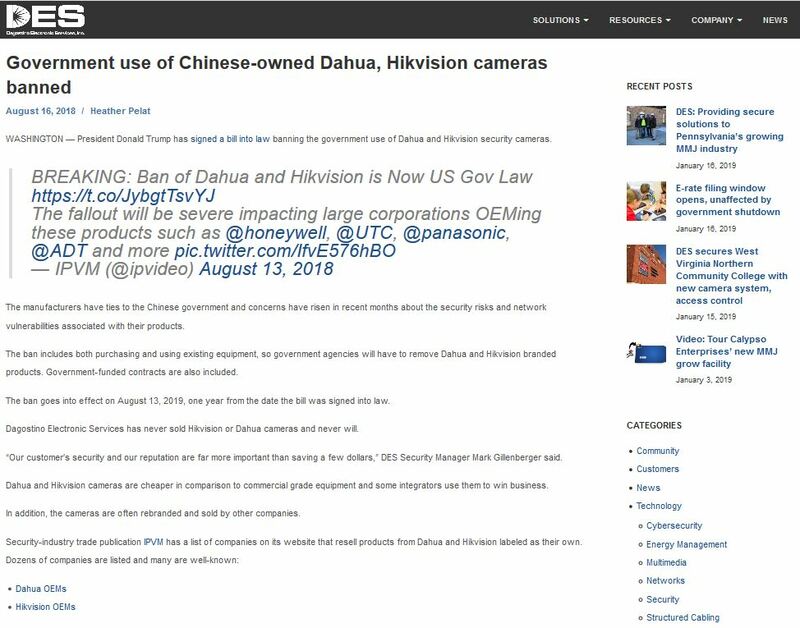 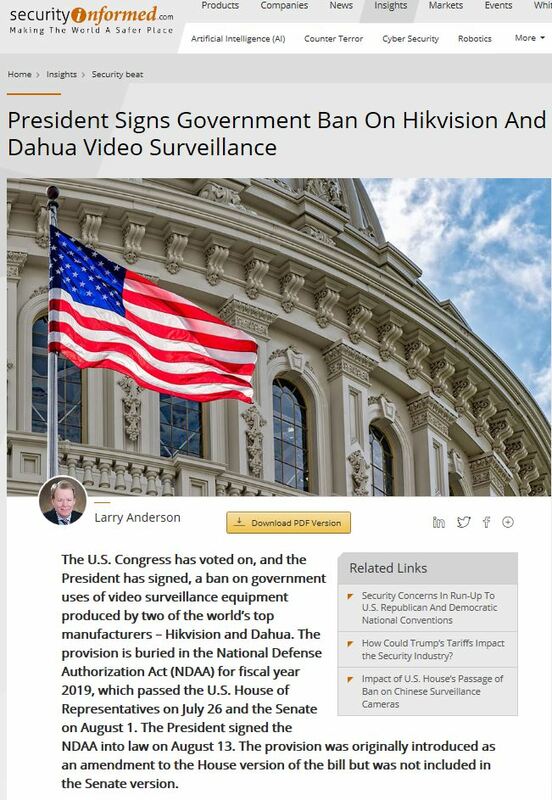 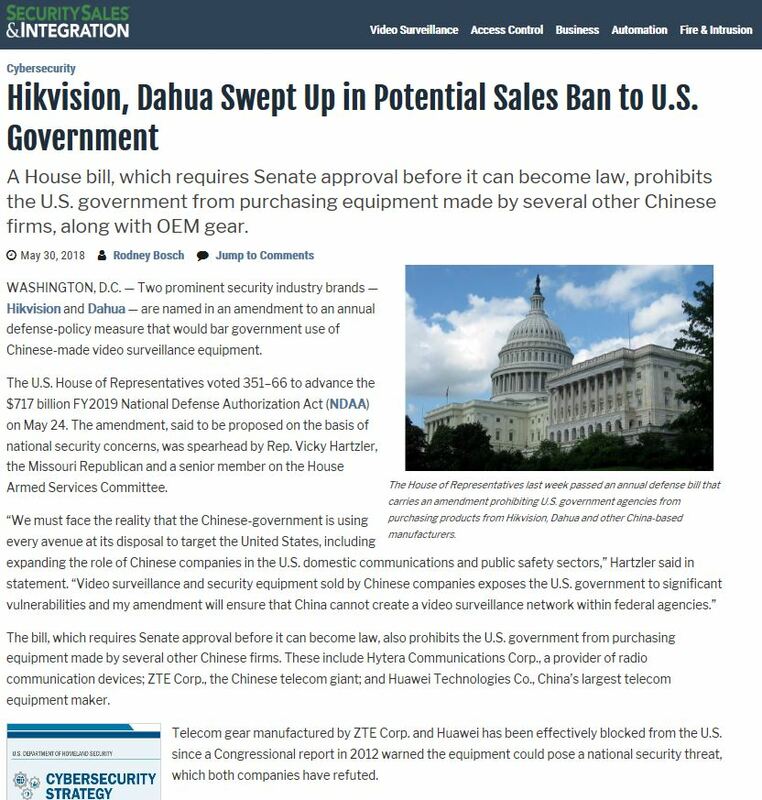 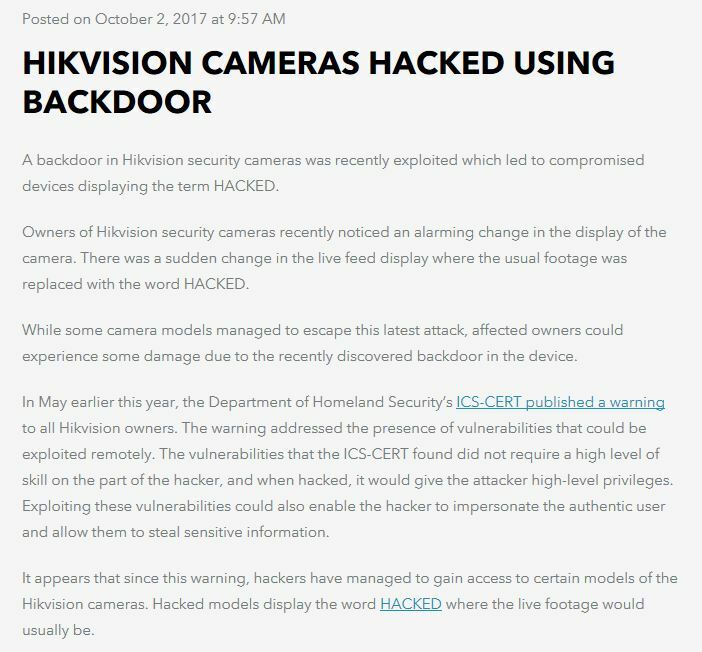 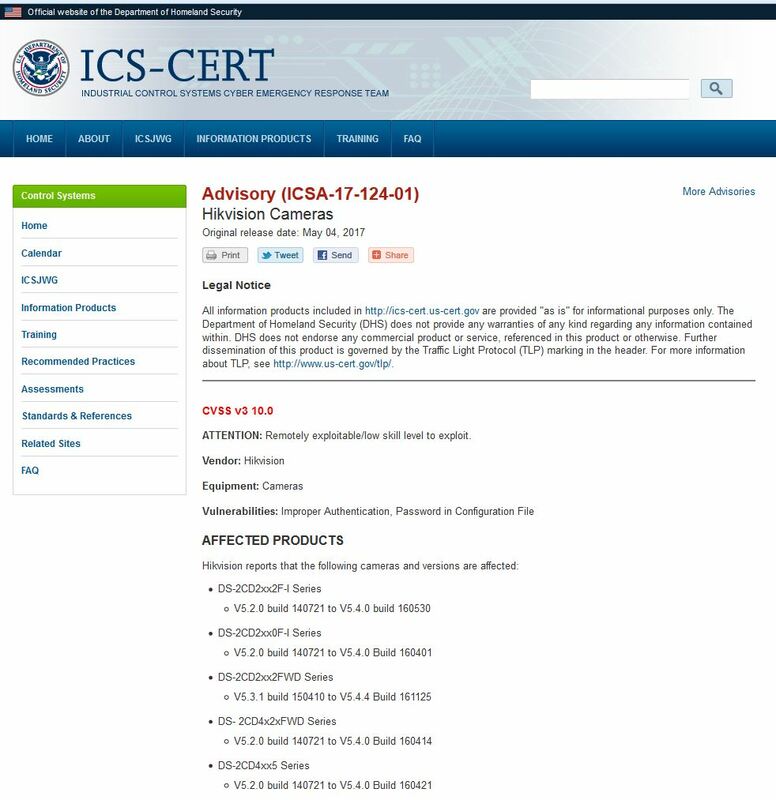 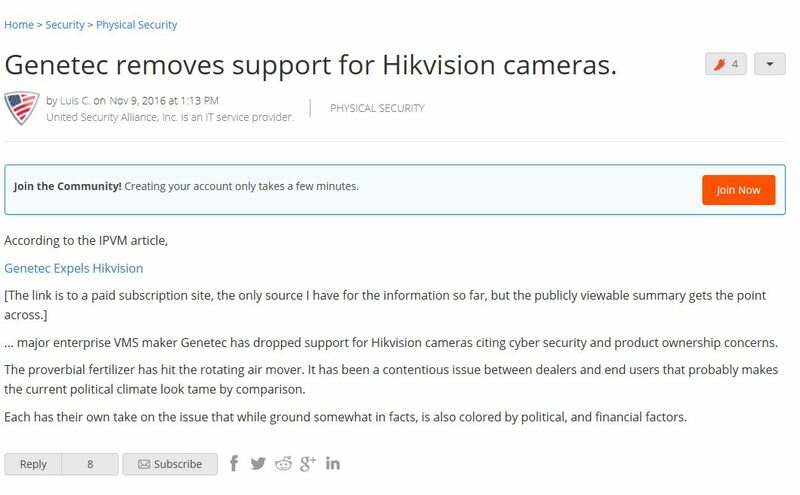 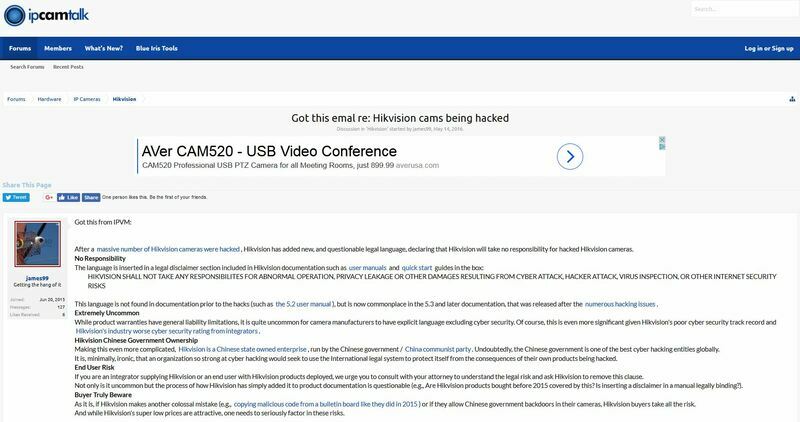 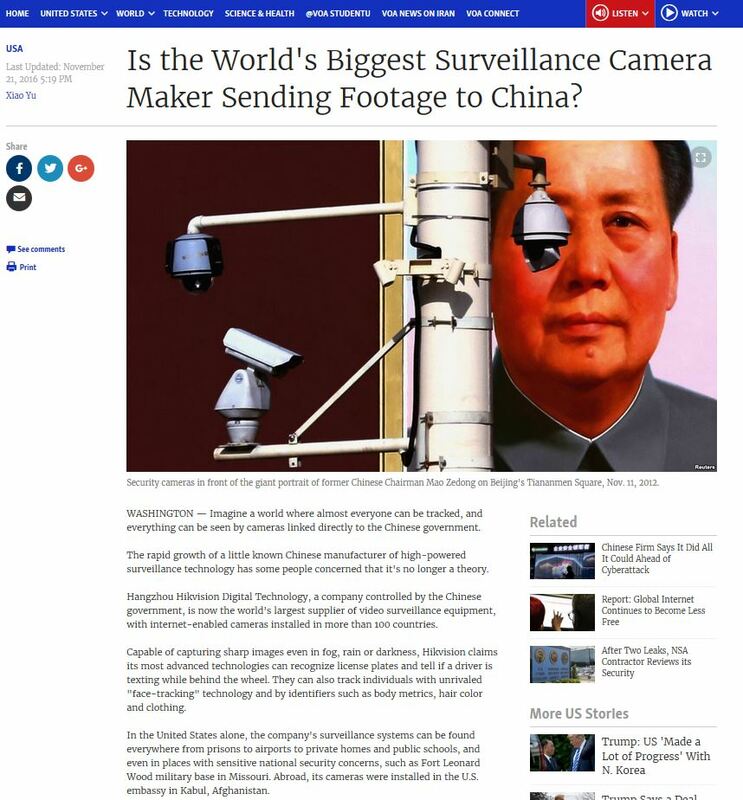 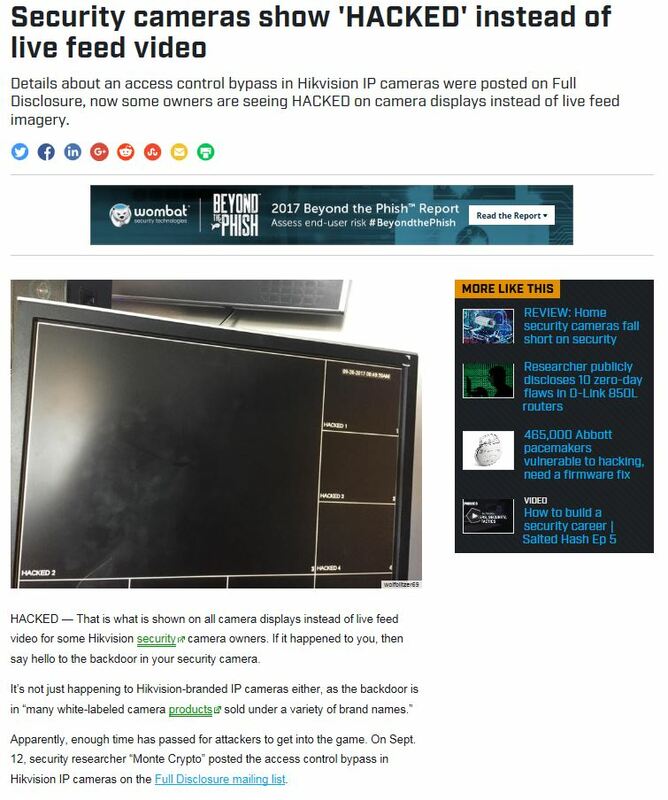 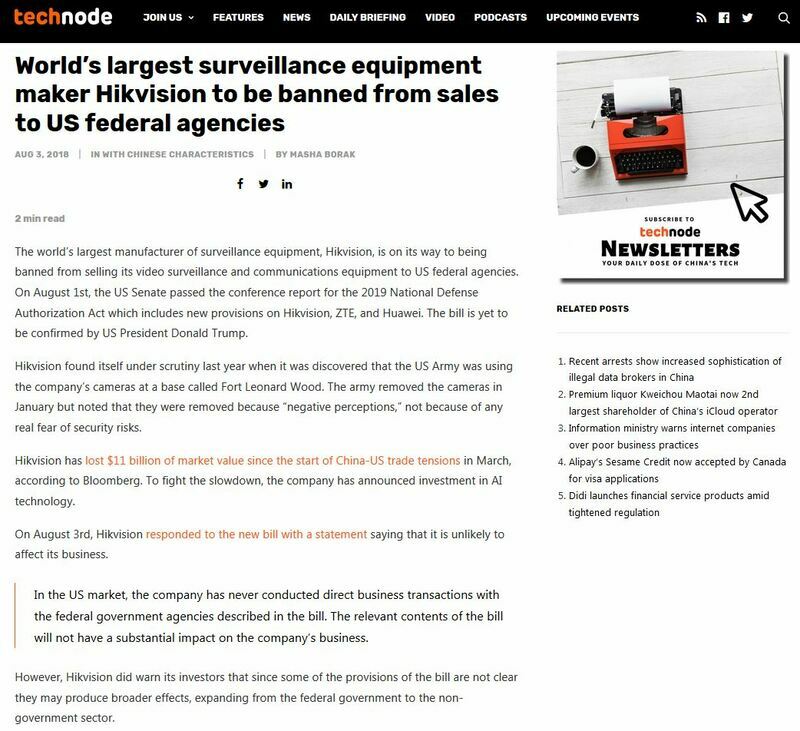 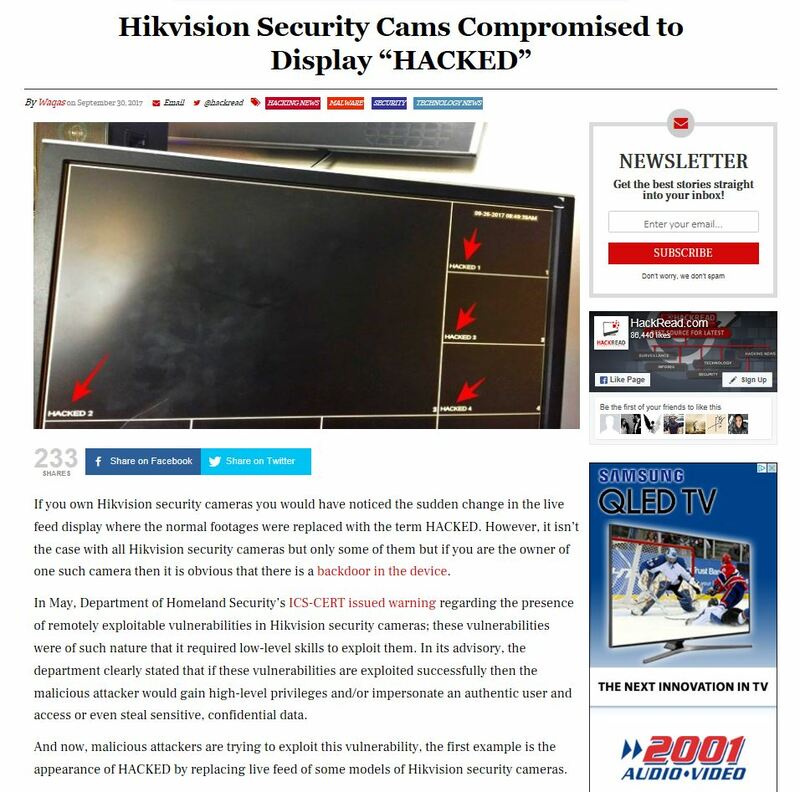 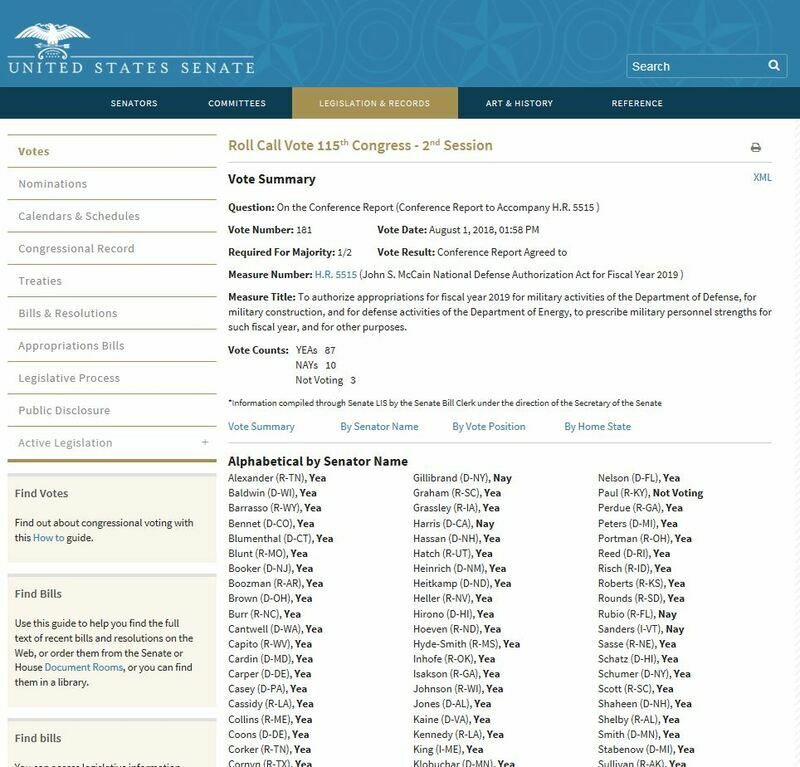 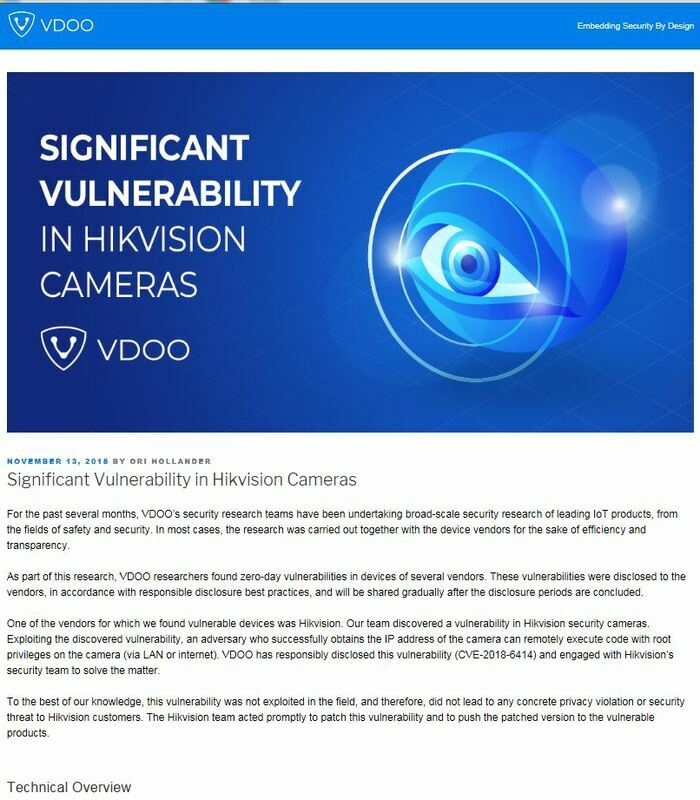 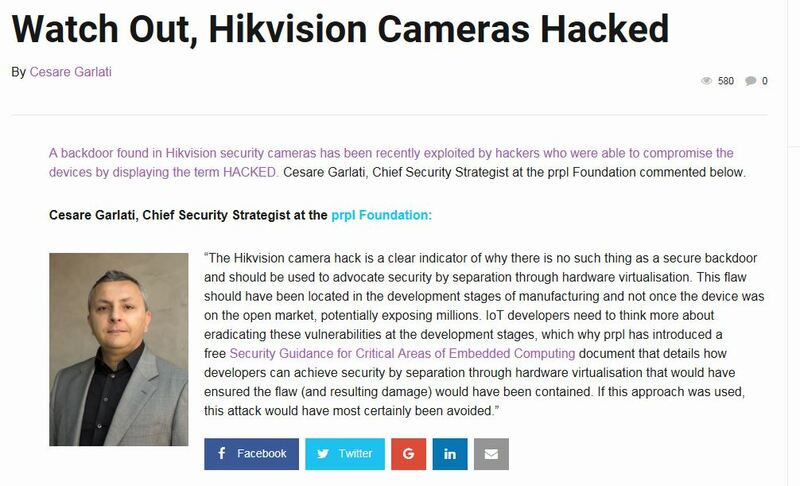 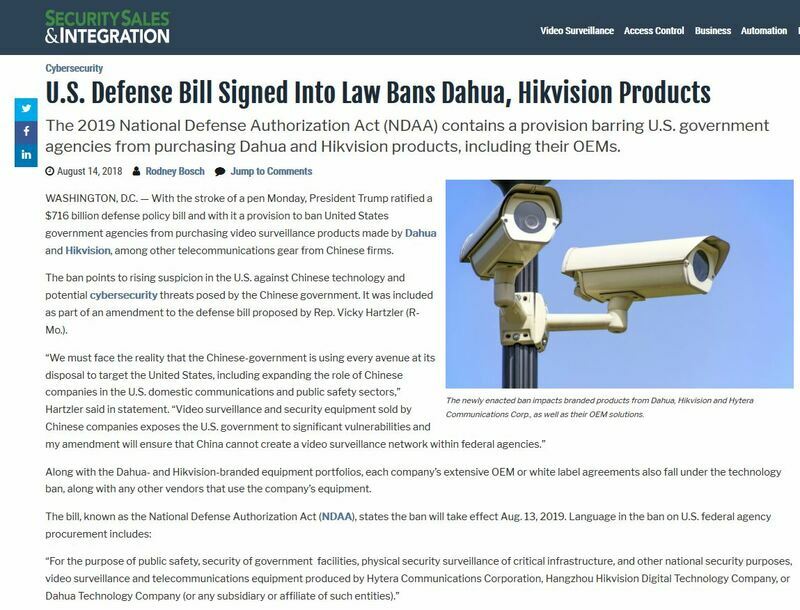 In 2018, US President has officially signed the "2019 NDAA ACT" into law, banning the use of Dahua and Hikvision (and their OEMs) for critical infrastructure and national security usage. 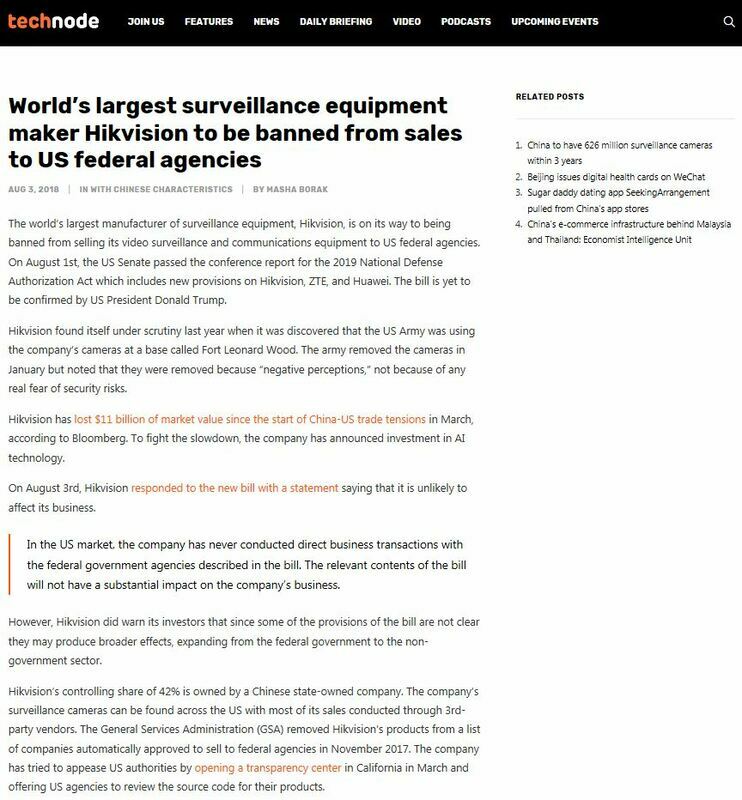 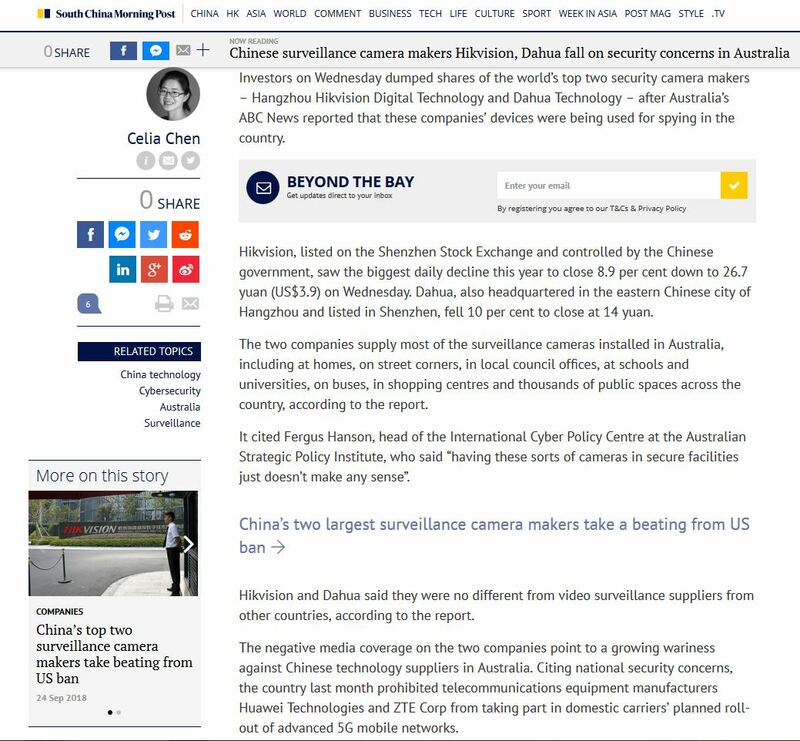 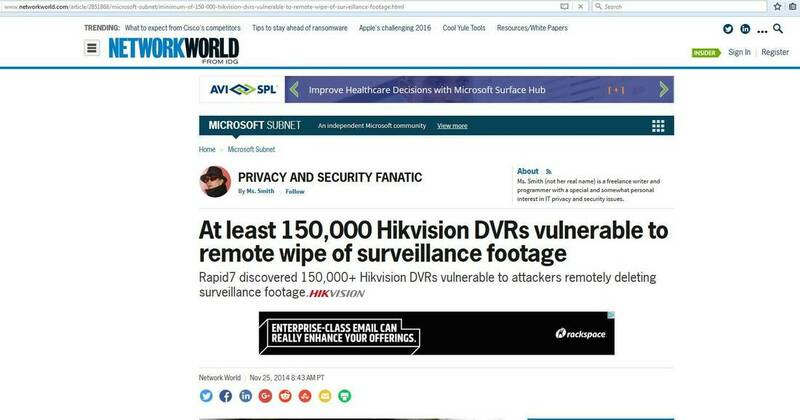 The removal of Dahua and Hikvision branded equipment along with all OEM made equipment started immediately. 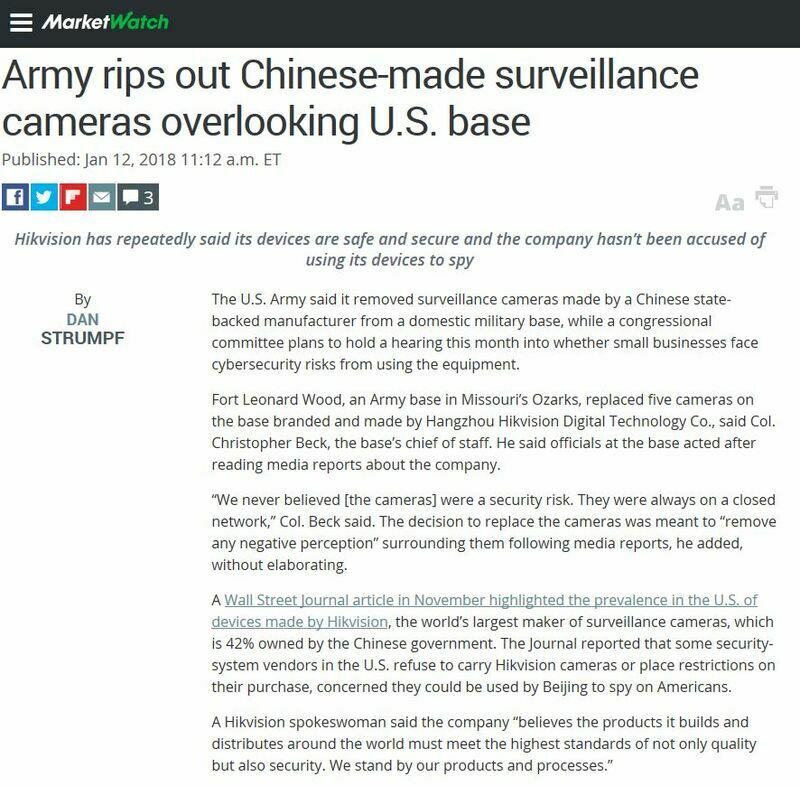 The impact outside of the US such as Canada and UK could be significant since many countries and organizations will see this as a negative signal about the security and trustworthiness of these two banned made-in-China brands. © Copyright 2008-2019 A.S. Security & Surveillance Inc . All Rights Reserved. 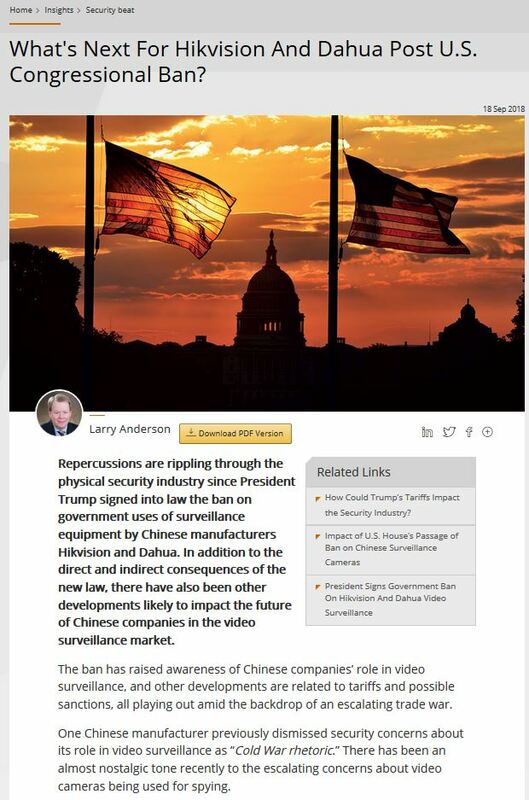 A.S. SECURITY & SURVEILLANCE ® is the trade mark of A.S. SECURITY & SURVEILLANCE INC. and not to be used without prior written permission of the owner. 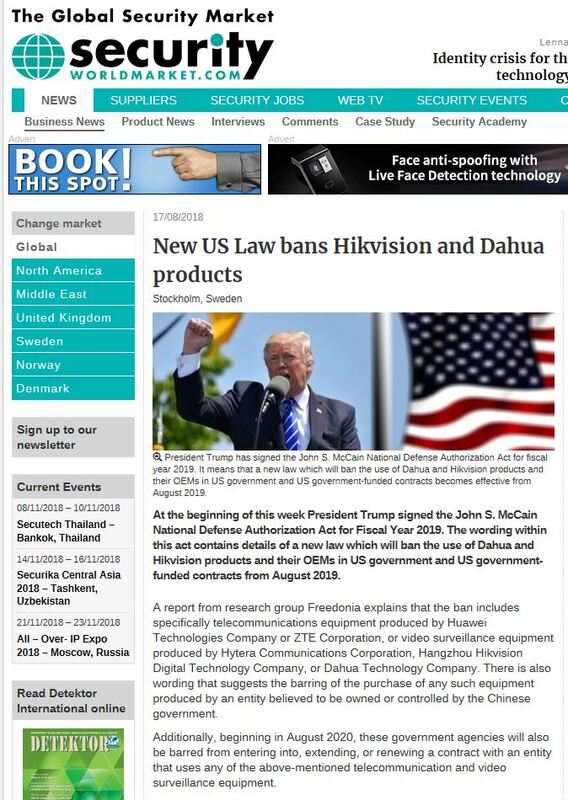 Any unauthorized use of our website, social media sites content, our name and logo is strictly prohibited. 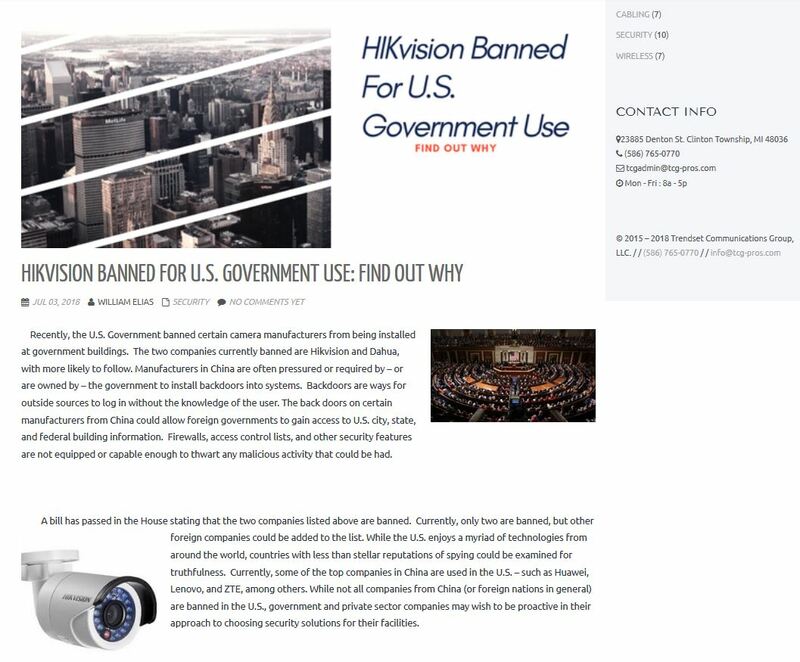 All information and graphics on our web site are protectable under the Canadian Copyright Act.